There is a direct correlation between the decline in amphibian populations with pond loss and habitat deterioration in Herefordshire as elsewhere in the UK. Smooth, palmate and great crested newts have all declined in the countryside. However, the growth in the popularity of garden ponds and demand for fishing pools has helped to compensate for these deficiencies, allowing for a small increase in the frog population, whilst smooth newt numbers have remained at a stable level. This guide outlines the methods by which both keen amateur and professional managers of the countryside can help to increase local amphibian populations by creating new ponds and modifying and maintaining existing ponds and their associated habitats. The methods are mainly directed towards encouraging amphibians. However they are also complementary towards other aquatic flora and fauna. An amphibian pond should have the following basic characteristics. They should have shallow sloping sides for the growth of marginal vegetation. Preferably at least two different depths of shelving should be created to cater for the varying requirements of emergent aquatic vegetation and to allow for variations in rainfall patterns (see photo above). There should be a deeper area in the centre of the pond which will retain water during periods of drought. The ideal depth for an amphibian pond is about 2 metres. However, a pond depth of a metre may be sufficient to retain water throughout an average year. If you want to create a smaller shallower pond, bear in mind that evaporation will occur more rapidly. If a pond dries up in the breeding season any remaining tadpoles that have failed to develop into metamorphs will die. You can compensate for this by filling up the pond with tap water or by providing some form of regular inflow. There is no great benefit in constructing very deep ponds because amphibians, with the exception of our common toad Bufo bufo, tend to confine themselves to the vegetated margins. Studies have revealed that the optimum breeding site size for palmate and smooth newts is 100 m2, great crested newt frequently thrive in ponds between 250 m2 and 400 m2 but may found in larger ponds. You must decide on what size the pond should be, whether the pond should be lined and if so what material should be used. If you can rely upon the natural geology to hold water then that will be the preferable option, both from the cost point of view and for the amphibians. Natural clay is common in many regions of the UK, but make sure you get down to natural levels. Digging a pond by hand is very laborious work and serious consideration should be given to hiring a small mechanical excavator. Always bear in mind your water source and how you are going to conserve water. A biological survey should be conducted before you undertake any restoration work to find out what amphibians are present and in what numbers. The survey work should be carried out by a suitably qualified person. HART members can undertake amphibians surveys on your behalf, but they will usually request travel expenses or Additional expenses may be charged when giving advice on pond management or creation. It may be necessary to modify your management practices according to what is found in your pond. For example, ponds containing the specially protected great crested newt which are silted should have management priority over ponds where no amphibians were recorded. If protected species are present do seek further advice (see Protected Species Advice section below). Restoration work should be carried out in amphibian dormant season although work can commence in summer if the pond is totally dry. It is also important to establish whether any other key aquatic species are present and adapt the management to benefit rare or protected species. It is normally advisable to de-silt half the pond one year and complete the task the following year as this assists natural re-colonization by existing pond flora and fauna. In poorly vegetated ephemeral ponds this practice may not be necessary. Ponds excavated for agricultural purposes do not require planning permission. However ponds excavated for other purposes, such as wildlife conservation, may require permission, even if they are to be located on agricultural land. Local planning offices will be able to advice, and should always be contacted prior to pond construction. It may also be necessary to consult planning offices regarding disposal of spoil. Before undertaking construction or restoration you are advised to consult some of the pond literature. There are some free leaflets and information is also given on how to obtain these publications (see Book List below)..
A healthy zonation of plants in and around a pond is important for amphibians as plants provide the right habitat for invertebrate prey, cater for oviposition and provide the necessary cover for protection and the means to ambush prey. The choice of plants is partly dependent upon the size of the pond. In the submerged zone you should establish native plants such as hornwort Ceratophyllum demersum, water crowfoot (Ranunculus aquatilis) and water-starwort Callitriche stagnalis. In semi-natural ponds these plants always seem to provide niches for a myriad of invertebrates and should be selected in preference to curly water-weed (Lagarosiphon major) or Canadian pondweed (Elodea canadensis) because these latter species quickly produce dense growths of vegetation that will require frequent thinning out. On the shallow shelves you should establish plants for oviposition by newts. Newts will select specific species of plants in preference to others; the most popular plants used by great crested newts are float-grass (Glyceria fluitans) and water forget-me-not Myosotis scorpioides. Watercress Nasturium officinale, Water Mint (Mentha aquatica) and great hairy willow-herb Epilobium hirsutum are also commonly selected. In small ponds (less than 10m x 15m) avoid using aggressive colonizers such as reedmace Typha latifolia, reed sweet-grass Glyceria maxima and common reed Phragmites australis, as they are easy to establish but hard to control. If you want create a floral screen to your pond it is recommended that you plant Yellow Flag (Iris pseudacorus) which is less aggressive and also provides welcome colour. Fish predation has a great impact upon amphibian populations. Under most circumstances, introduction of fish into a newt pond will eventually lead to the elimination of the newts. It is the newt tadpoles that fall easy victim to fish. The presence of fish imposes a critical limitation on the ability of newts to exploit larger water bodies and restricts newts to smaller water bodies. So, if you want to establish a thriving population of amphibians make sure that there are no fish present! On the other hand, toads are not particularly affected by fish predation because their skin contains distasteful toxins and as a consequence large populations can coexist with fish. Fish management and control is complicated and governed by several laws. For further advice please refer to the Countryside Council for Wales contract services report 476. Herons feed on amphibians usually in an opportunistic manner, some birds may develop a preference for newt tadpoles; includes those of great crested newts. Ducks directly affect amphibian populations by preying on eggs and tadpoles. They also have an indirect effect; their dabbling uproots plants on which eggs are laid, prevents plant re-growth and disturbs water sediments. On small ponds you would be advised not to encourage ducks; on larger ponds numbers should monitored and, if necessary, regulated. It is possible to discourage herons and ducks by erecting cane and strands of string around the edge of the pond. See the RSPB guide to discouraging herons. Adult great crested newts frequently prey upon tadpoles and will readily make a meal out of their own tadpoles. Invertebrate predation is also common although it is not normally at the level which would cause a serious decline in a population. Great diving beetles and dragonfly nymphs are the most significant in this respect. Most aquatic invertebrates are good colonizers of new sites, so if you have created a well-balanced pond with a good range of aquatic flora they’ll find it. It does take time, though, for new ponds to settle. It may take two years or more before invertebrate levels approach a similar density to those in established ponds. However, there are various ways in which invertebrate populations may be encouraged to establish more rapidly. Inoculation of pond silt, containing invertebrate eggs and larvae will help provide the right micro-environmental conditions for invertebrate development. Removal of silt should occur in the dormant season (from September to January). Ideally silt should be taken from an existing amphibian site. Make sure that the pond that you take the silt from does not contain fish. Even if you ensure no adult fish are present you may inadvertently be introducing fish eggs. Dragonfly nymphs over-winter in silty mud, if they are known to be present in the donor pond extra care will have to be taken as odonata populations can be damaged during this type of operation. After hatching newt tadpoles are thought to feed on protozoa (single celled animals) whilst frog and toad tadpoles in their early stages of development show a greater preference for algae. Daphnia and Cyclops are important dietary constituents for tadpoles of all species in their mid-stages of development. Adult frogs and toads are relatively catholic in their diet. All three species of newt show similar dietary requirements with certain populations developing preferences for selected invertebrate prey. The following invertebrates regularly fall victim to newts; water snail, water hoglouse, and various aquatic fly larvae; blood worm and the like. Whilst on land newts forage for worms, slugs, snails and other invertebrates. Smooth and palmate newt will take relative small prey items whilst great crested newts will tackle larger items. Many of the larger invertebrate prey items can be specifically selected for translocation. Water snails are easy to establish in new ponds and will not only benefit newts as a food source but also keep the water in good conditions by removing surface algae and unwanted plant remains. Most species of amphibian spend the majority of their lives on land. This is certainly the case with our native amphibians. However the palmate newt is more aquatic, and may spend much of the spring and summer in water. In the case of the great crested newt its dormancy may start from June and last until March; strictly speaking they aestivate from June to October. All amphibians in the United Kingdom hibernate during the winter. They normally seek frost-free conditions. Ease of access to suitable conditions is an important factor. Newts are known to select holes by the bases of live and dead trees, light loamy soil, and rubble and rocks with plenty of voids . It is also normal for newts to move around within hibernacula in response to changes in temperature. The lack of availability of adequate hibernacula may restrict the expansion of amphibian populations. On sites which have poor terrestrial habitat structure, it is therefore well worth providing artificial hibernacula. The specifications below have been devised to replicate these semi-natural conditions. Sunken hibernacula are more likely to protect newts from frost penetration. Ideally you should aim to contract a trench about 40cm in depth by 1 metre wide; the length depends on the size of your pond. It is recommended that the hibernacula are situated parallel to the pond to intercept amphibians when leaving the water. (In particularly boggy conditions with a high water table it will be necessary to construct a raised hibernacula). The hibernacula trench should be filled with 10 sheets of correx fluted board (plastic estate agent board) approximately 0.75m². Old slates or large tiles of similar dimensions could also be used. Pea gravel should be liberally distributed one layer thick, between each of the sheets to provide a consistent depth of 3 to 4mm. Additional infill should consist of loose loam, soil conditioner and sand, whose proportions should vary between the different layers. Stacks of 10 correx sheets 0.75m² can be placed in line. However it is important that a gap is left between the stacks to create the access voids. The gap should be 10cm wide between the correx sheets and also the vertical cut of the excavation. The gaps should be filled with a combination of clean hard-core, wood and soil, which will provide voids to enable the newts to reach the layers. The presence of such layers provides the newts with protection from predators whilst enabling them to move within the hibernacula and locate the right micro-environmental conditions. Finally the hibernacula should be capped with stone. Large stones can be used for maximum visual attraction. A minimum stone diameter of about 100 mm should provide adequate voids for access. Frogs and toads regularly forage on land. Newts make periodic sorties on land, foraging for worms and other invertebrates. Great crested newts regularly wander 250 metres away from the water in search of food. Frogs and toads wander considerably further. Ideally a buffer zone should be created around the pond to provide for the amphibians terrestrial requirements. On leaving the water adult newts and emerging metamorphs readily seek out any available flat refuges around the pond as these provide protection and contain prey. You can provide these sites by strategically placing items such as planks of wood, old carpet, brick and rocks around the edge of the pond, for greatest effectiveness they should be placed close to water’s edge where ground level conditions are permanently moist. It may be possible to utilize discarded rubbish scattered for this purpose. Strategically placed wood piles are a useful addition to pond habitat. Wood piles attract many invertebrates and amphibians will readily exploit these situations. They also provide opportunities for amphibians to aestivate. Ideally these should be situated in damp locations but above draw-down zone. Amphibians are prone to getting trampled underfoot around the pond edge. If visitor pressure or human interference is posing problems then it is worth establishing areas of non-intervention. It may be necessary to erect a fence to deter access from sensitive areas. You can also anchor flat refuges such as planks of wood with a metal brace attached to plank and driven into ground, but ensure that there are still gaps underneath. The best terrestrial habitats have been shown to contain some long grass, bushes and shrubs and plenty of damp areas, so aim to maintain the site in an informal method. Great crested newts and smooth newts prefer ponds to be slightly eutrophic (rich in nutrients) and slightly basic. Frogs and toads also show preference for slightly eutrophic water, although the frog is tolerant of a wide range of conditions and, like the palmate newt, are quite at home within oligiotrophic water bodies that are low in nutrients. However, since these conditions support fewer invertebrates population densities are lower. Small amounts of tap water can be used to top up ponds with no adverse effect upon amphibians. Undiluted chlorinated tap water irritates amphibians, therefore it is wise to leave chlorinated water to stand for 24 hours which allows the majority of chlorine to evaporate. Ponds that are regularly disturbed by ducks or other wildfowl or people and dogs will be cloudy with sediment. Such activity will restrict feeding and courtship during daylight hours. As prey items are also disadvantaged by the turbidity it is not normally a serious problem provided water remains opaque. However, if water is constantly very cloudy this will restrict amphibian ability to catch prey, limit courtship behaviour and restrict or eliminate submerged aquatics plants. Ideally ponds should be left settle after disturbance. Shading by trees casts shadows which restricts the growth of aquatic plants. Most aquatic plants require a lot of light and even moderate shading will frequently result in partial elimination of aquatic flora. Leaves contribute to the silting-up of ponds and as they decompose they release substances that are maybe toxic to amphibians. Oak and willow leaves are more detrimental in this respect. You can reduce the effects leaf deposition by systematically removing leaves and silt each winter. On small garden ponds the placement of netting; obtainable from garden centres can be quite effective at catching leaves. Shading has a greater effect on smaller ponds even ponds up to 400 square metres can almost completely be cast in shade. Plants are particularly vulnerable from shading from the south. On the plus side in large ponds a certain amount of shading can be useful as a means of controlling excessive vegetation and thereby maintaining some areas of open-water for amphibians. On large water bodies surrounding trees act as windbreaks limiting the effects of temperature loss. However, in smaller ponds such shading causes a reduction in temperature due to the lack of sunlight penetration. As a general rule the level of shading around a pond should not be allowed to increase to 50%, anything less than that is fine. All UK native amphibians are listed under schedule V of the 1981 Wildlife & Countryside Act. The great crested newt and the natterjack toad Bufo calamita are given greater protection under Section 9 (1) such that it is an offence intentionally kill, injure, catch, possess or handle these species. The smooth newt, palmate newt, frog and common toad are only protected with respect to their sale. It is necessary to obtain a licence from Natural England if you intend to handle or disturb great crested newts. If you want to carry out management work to an existing great crested newt pond you should refer to the advice given by Natural England on conservation licences for pond management (see link). For any other guidance about the law please check out the Natural England website or contact the Herefordshire, Warwickshire & Worcestershire Team on 01905 763355. Anon (1981). The Wildlife & Countryside Act 1981. The Stationery Office. Anon (1992) Dig a Pond for Dragonflies. British Dragonfly Society. Arnold, H. R. Atlas of amphibians and reptiles in Britain (1995). ITE research publication no. 10. HMSO Publications ISBN 0 11 70182 4. Boothby, J. (ed.) (1997). British pond Landscapes. Action for protection and enhancement. Proceedings of the UK conference of the Pond Life Project, Chester, Liverpool John Moores University. Bray, R. & Gent, T. (1997) Opportunities for amphibians and reptiles in the designed landscape. English Nature Science Series No. 30. English Nature. ISBN 1 85716 265 X.
Brian, A. & Harding, B. (1996). A Survey of the Herefordshire Ponds and their value for Wildlife 1987-1991. Transactions of the Woolhope Naturalists Club. Vol. XLVIII, Part 3. Brooks, A. Agate, E. (1981) Waterways and Wetlands. British Trust for Conservation Volunteers. Oxford. Gent, A.H., & Gibson, S.D., editors (1998). Herpetofauna workers’ manual. Joint Nature Conservation Committee. Peterborough. Great Crested Newt Species Action Plan Steering Group (1998). Great Crested Newt Biodiversity Action Plan Work Programme (1998-2002) Version 1.1 Froglife, Halesworth. Hilton-Brown, D. & Oldham, R.S. (1991) The Status of the widespread Amphibians and Reptiles in Britain, 1990, and changes during the 1990’s. Nature Conservancy Council. Available from English Nature, Northminster House, Peterborough. Kabisch, K. & Hemmerling, J. (1984) Ponds and Pools. Croom Helm. Langton, T.E.S., Beckett, C.L., and Foster, J.P. (2001), Great Crested Newt Conservation Handbook. Froglife, Halesworth.  Available free from Froglife – but usually given out to great crested newt pond owners or those people recording the species. Sansom, A. (1997). Ponds and Conservation, a guide to pond restoration, creation and management. Environment Agency. Watson, W., Datlen, R., & Hollis D. (2000) Aqua Vitae 21. A Best Practice guide for Pond Restoration. Worcestershire County Council, Countryside Service, Worcester. Whitehurst, J. Great Crested Newt mitigation guidelines. (2001). English Nature. ISBN 1 85716 568 3. Williams et al. (2000). The Pond Book. A guide to the management and creation of ponds. The Ponds Conservation Trust, Oxford.